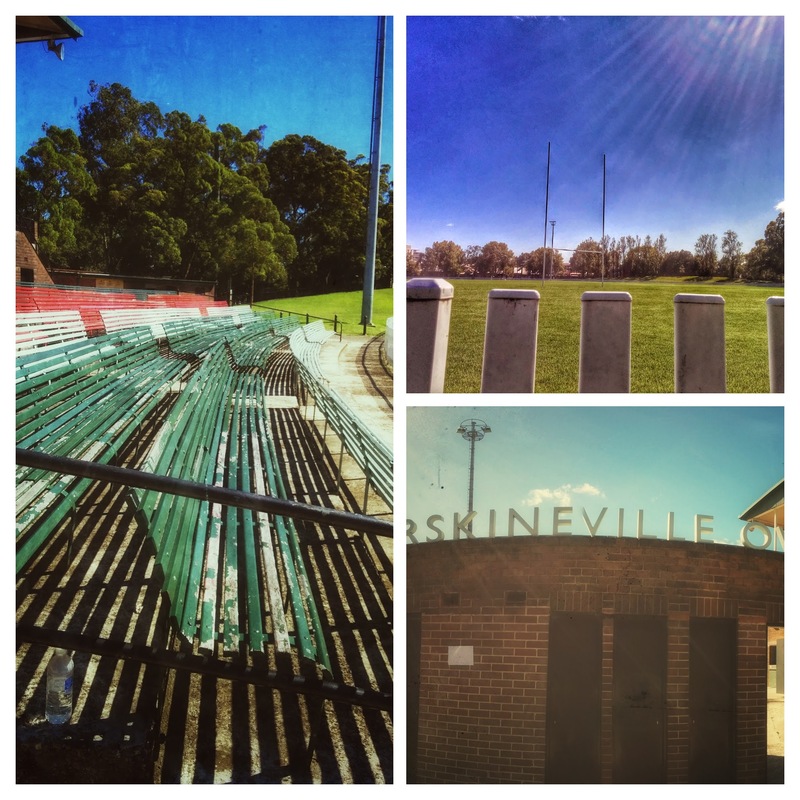 Erskineville Oval is a rugby field with an old grandstand painted in the traditional South Sydney colours of red, white and green. Dogs are permitted around the outskirts of the playing field, provided they stay on leash. The field is bordered by a white picket fence, and the oval slopes gently on all for corners proving ideal for watching a casual game or just hanging out. Historically, the area was originally called Macdonaldtown Park, until it was changed in 1892 to Erskineville Park. From 1913 to 1954 it was the home of the Newtown rugby league team. The oval is located on the corner of Copeland Street and Mitchell Road, and partners Harry Nobel Reserve (aka Erskineville Park), a dog friendly village green. Parking is limited to street side in the backstreets nearby. The park is 5 minutes walk from Erskineville station as well. There is a toilet block beneath the grandstand. For other amenities like playground and BBQ Harry Nobel Reserve has you covered. Erskineville Oval: corner Mitchell Road and Copeland Street, Erskineville, Map it.